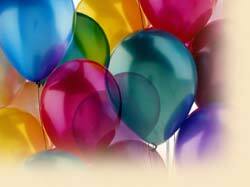 We welcome you to have your next birthday party or special event at Caustelot Farms. Your child can invite up to eleven of their friends to join them in celebration of their big day on our 13 acre horse farm. Our sweet-natured and well-groomed riding horses will bring smiles to the faces of the children at your party. And you can feel secure that our gentle horses will be led by competent, attentive and concerned leaders. We will provide a horse for the children to ride and a present for the birthday child. Your child will feel like royalty riding in our white “Cinderella” Carriage as it is pulled by one of our majestic Percheron draft horses. We will provide a horse and carriage for the children to ride and a present for the birthday child. The children decorate horseshoe picture frames and we provide each child with a picture of the party. The children decorate horseshoes with beads, paint, and leather. © 2015 Caustelot Farms, Inc. All Rights Reserved.